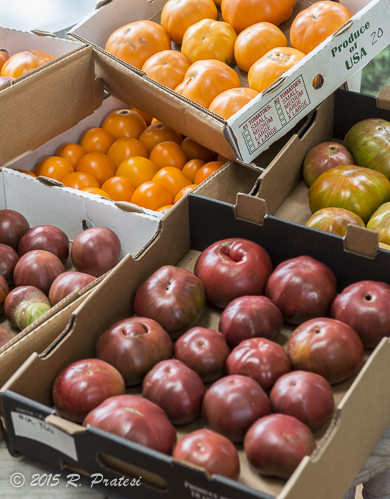 One of the things I love most about summer is the abundance of local fresh fruits and vegetables. Nothing says summer more than a fat, juicy, and ripe heirloom tomato simply sliced on a plate with a drizzle of olive oil and a sprinkle of kosher salt. It doesn’t get much better than that on a hot summer’s day. 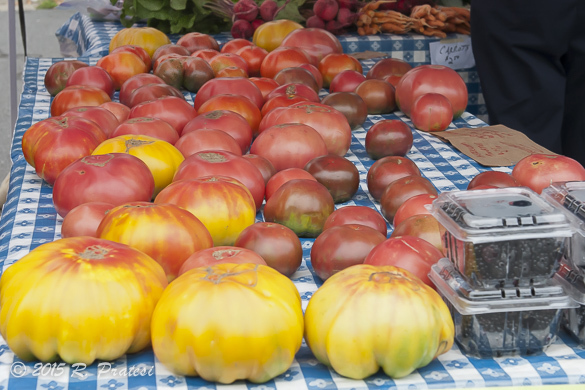 Saturday in our city is market day, when the local farmers convene to share their bounty and there is no question that the tomato stand is a popular attraction. There on the table, mixed in with the yellows, oranges, and reds, is the prized catch. 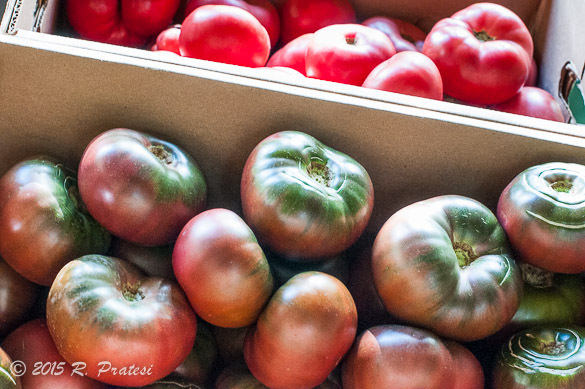 It’s a reddish-purple tomato (almost black) that is large, firm, and oh, so good. If you know what you’re looking for, it’s the Cherokee Purple Tomato. I was recently contacted to work with Seeds of Change on a very important project focused on preserving heirloom flavors and ingredients. The first time I heard about their Save the Flavors campaign was when I received an invitation to attend a luncheon hosted by Chef Hugh Acheson (Five & Ten in Athens, Georgia and Empire State South in Atlanta.). I was excited when Seeds of Change contacted me again to be part of their campaign to help save the flavors of the Cherokee Purple Tomato. I’m pleased to take part in this mission, as we not only believe in saving the flavors of the past, we believe in the Cherokee Purple Tomato. As you know, we have always supported local farmers and artisans and choose to shop at small markets where we can buy locally sourced ingredients, preferably organic. 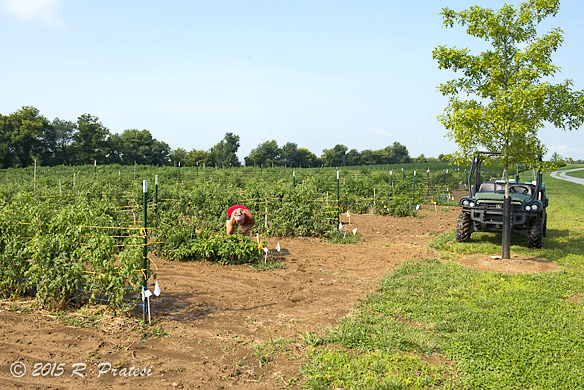 It’s important to us to keep these farmers in business so they can continue to grow many of the varieties of produce that have essentially been lost to commercial farming in our country due to the focus on cost, fast growth, transportability, and shelf life at the expense of flavor. 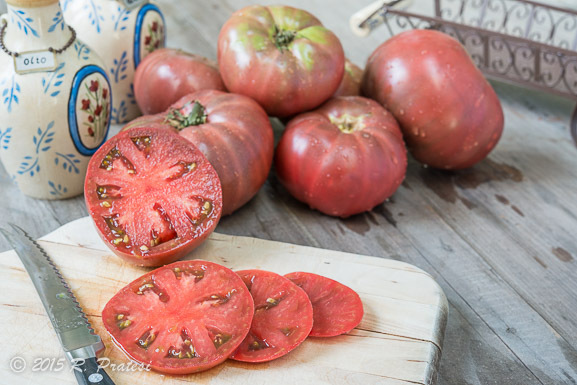 If you’ve never tasted an heirloom tomato, such as the Cherokee Purple, and only buy hybrid tomatoes in a traditional supermarket, you are missing the bold, deep flavors that only an heirloom can deliver. 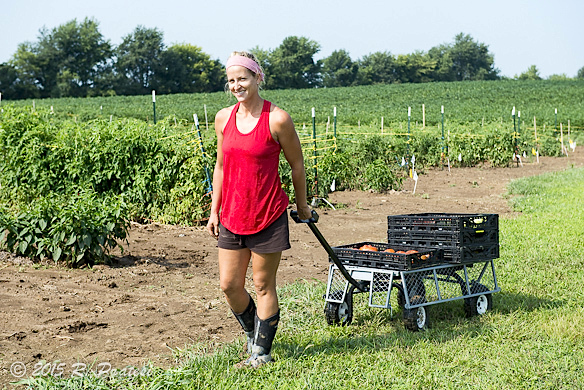 One farmer who we’ve worked with for several years, Brooke Eckmann of Ambrosia Farm in Finchville, Kentucky, chatted with me about her growing experience with this popular heirloom tomato. 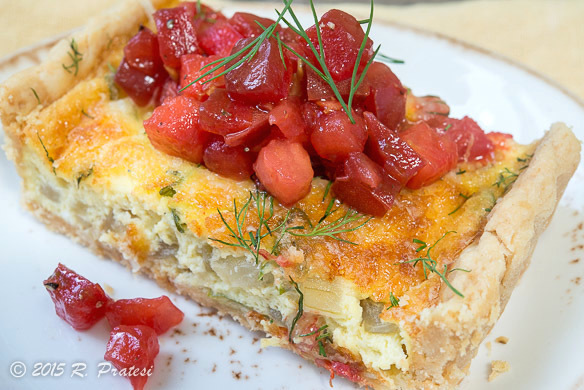 Brooke is one of the featured farmers in our cookbook with Chef Anthony Lamas, Southern Heat. An expert on growing heirloom tomatoes (she grows over 82 varieties! ), she shared her thoughts with me on the Cherokee Purple Tomato.